I and my colleague have a difference of opinion. We have a dashboard with a bunch of these kind of charts. One of us wants to keep the legend of oranges to keep the design consistent (all charts have three values), and the other one wants to keep it clean and only show the information that is truly important. 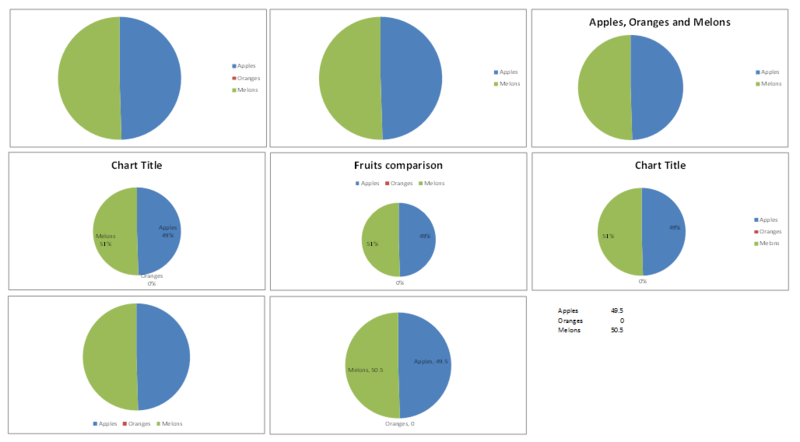 All charts show the same three fruits, but with different values of course. If the user selected three fruits to be shown, Apples, Oranges, and Melons, and only sees Apples and Melons in the pie and in the legend, they will wonder where the Oranges went. If the Oranges are shown in the legend but not in the pie, again they will look for the tiny slice of Orange with a magnifying glass. Therefore, show the numbers, confirming to the user that, yes, they did select Oranges as well, but there just aren't any. A way of doing this would be "disabling" the Oranges in the legend (greying them out) and appending "(none)", "(not shown)", or something similar. Yes, show it. The data IS important. Others gave given good reasons (the inclusion of Oranges clarifies they HAD been taken into account) and suggestions (show percentages or numbers, show a thin line if >0 but v. low). Assume we have 0 apples, as well. What does that chart tell us, exactly? What is its purpose? Melons. That's what they look like. 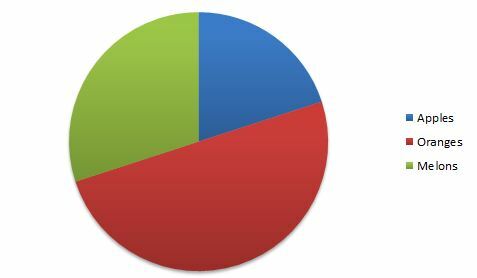 Your problem stems from the fact you're using a pie chart. Pie charts are simply not a very good way of representing data (see here, here, here or here for some discussions of why) and you've stumbled on one of the reasons why: they can't represent data with a value of 0. They're also almost impossible to accurately read the values off which is why you so often see them annotated with the actual values - this alone should tell you they're a bad form of data representation, good representations don't require you to redundantly repeat yourself. Definitely keep it in the legend. If you only have the two items in the legend it looks like you created a chart to show the comparison of Apples and Melons. For all the user knows there could be twice as many Oranges and you simply didn't include them in this data. Since Oranges are included you need to show that. A second reason would be if the user manually selects these categories to compare. 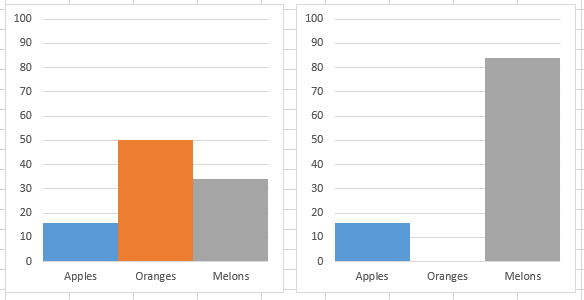 If the user selects "Show me Oranges, Melons, and Apples" and you return a chart with just Melons and Apples they are going to assume the tool is broken. A good middle ground would be to include Oranges in the legend but give it a "disabled" or lower opacity style, to imply that there aren't any. I would suggest that if "0% oranges" is the main point of significance, then the pie chart is the wrong way to display the data. If, on the other hand, 0% oranges is no more significant than (say) 1% oranges, because you know your standard deviation is a fraction of a percent or larger, then I'd display a thin orange radius so readers don't think there's a printing error! And the form without oranges in the key is outright confusing if you start saying anything at all about oranges in your text. The answer here depends on how the charts are being used. If the charts are historically factual (the data that they represent is fixed and will not change over time), extra legend entries for zero values are just noise that gets in the way of the users understanding of the chart. However, if the charts are constantly changing, you need to signal to your users that the items that currently have zero values are being monitored too and may appear on the chart. The most understandable way to do this would be to include those items in the legend. If you have a bar chart and one of the columns is empty you don't hide the column (and the consequently the connected label). The same should be true for the pie chart. However, interestingly Google charts does the opposite and actually hides it by default - see this jsfiddle of a pie chart where the percentage of time for eating is zero. So why not simply test it out with people and see which one they think will be the clearest and easier to understand? 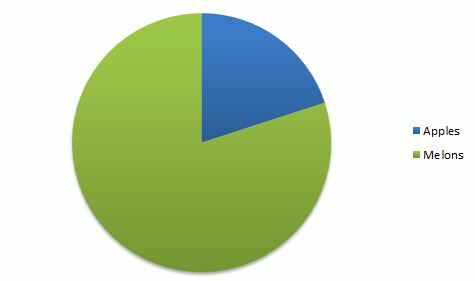 Many pie charts have a few wedges which add up to more than 99%, plus a few other values which make up the remaining 1%. A normal way to handle those is to have an "everything else" wedge whose width is artificially forced large enough to be visible (maybe 0.2% or so), and then have a call-out listing the contents of that wedge. Such an approach would seem perfectly natural even if one of the data points represented a value of 0.00001%, and I don't think a value of zero would need to be treated any differently. Not the answer you're looking for? Browse other questions tagged info-visualisation labels piechart . How to display zero percent of progress? Is a “zero” value in a legend necessary? How do you handle long charts that span multiple pages? How to figure out a threshold at which I should show “other” in a chart? How to represent the session switch from one node to other node? 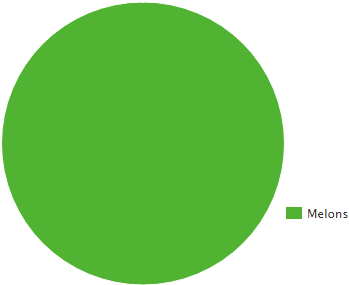 Will Sankey chart work?